Homeowners Insurance: What ISN’T Covered By My Policy? If you own a home, you’d be smart to invest in homeowners insurance. It really is one of the most essential forms of protection you can have for your personal property. In fact, approximately 93% of Americans have at least a basic home insurance policy. That said, it doesn’t cover every single incident that could ever occur on your property. It’s important to understand what your policy will cover — and what it won’t — in order to know whether you need an additional policy to provide the right kind of protection for your home and for your possessions. First, let’s talk about the kinds of events that your insurance company will cover when you have such a policy. Insurance companies may differ on the kinds of perils that are covered, but almost every homeowners insurance policy you’ll find will cover damage resulting from fire, smoke, lightning, windstorms, hail, and explosions. Many home insurance policies also cover incidents besides those that occur naturally, like vandalism and theft. A survey found that 79% of homeowners insurance policyholders understood that they have coverage for any possessions stolen during a home burglary, but some don’t realize that vandalized property damage is also covered. Most policies will also cover damage due to vehicle collision — meaning that if someone drives their car right into your home, you’ll be covered for any damages that exceed the driver’s auto policy limits. These incidents represent a good chunk of the damage homeowners might have to deal with. But it certainly doesn’t encompass every potential threat you could face. That’s why it’s important to read the fine print and learn where the gaps lie so that you can take preventative steps to ensure you’re covered, no matter what. Now, let’s discuss some of the instances that aren’t going to be covered by most homeowners insurance policies. Flood damage, for example, is something that isn’t usually included in a standard home insurance policy. That’s important for people who live in areas that are prone to flooding, of course. As we’ve seen in recent years, however, you don’t have to live in New Orleans to need flood insurance. Earthquakes aren’t covered either, which may be important if you live in California or in other regions that have experienced earth movements more recently. Simultaneous damage from natural incidents may not be covered, either. In the case of recent hurricanes, although wind damage could be covered, water damage won’t be. Acts of war, nuclear accidents, and government seizures also aren’t covered, though these events are usually a pretty low priority for most homeowners. It’s not all about catastrophic natural disasters, though. Some home insurance policies will not cover mold, damage from sewer backups, construction damage, termite infestations, dog attacks, pool and trampoline accidents, burst pipes, or sinkholes. And while you might hope that these events will be rare, many of them happen more than you’d realize. 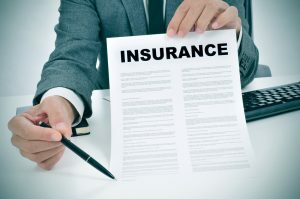 If you don’t have the proper coverage, you could end up facing a huge financial setback just to repair the damage done to your home or to others. For most people, a basic home insurance policy will cover the big stuff. But if any of these non-covered events are of concern to you, you may want to explore purchasing an additional policy that will provide you with peace of mind and financial coverage in case the worst should occur. Before purchasing any type of policy, you should have a very clear idea of what’s included (and what isn’t). That way, you’ll be an informed homeowner and can make the best choices for your family, no matter what happens. For specific questions, you should always refer to your homeowners policy or contact your agent.